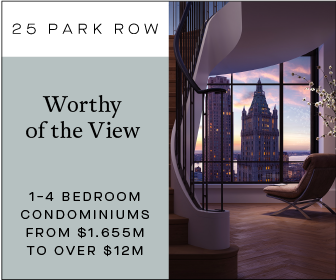 Back in May, new renderings of the development were released, and the core of One Manhattan West has risen several stories above ground. The update comes via a photo taken by prolific construction chronicler Tectonic, and posted to the YIMBY Forums. The site is also known as 401 Ninth Avenue, and is on the southwest corner with West 33rd Street. That’s right across the avenue from the future Moynihan Station. That puts the 7 train about a block west and the A/C/E about a block east. The structure will be an office tower. 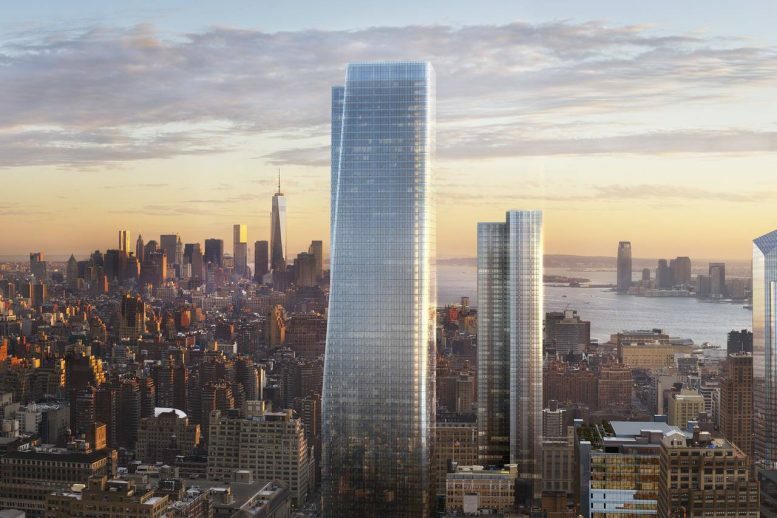 The latest building permit lists it as 69 stories, rising to a supertall height of 995 feet, and encompassing 1,653,912 square feet of commercial space. 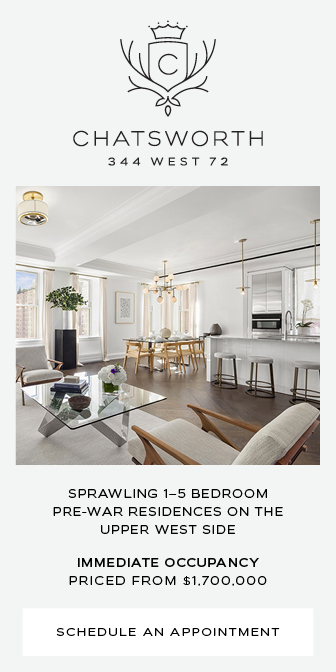 Typical floors should have 35,000 square feet of rentable space. 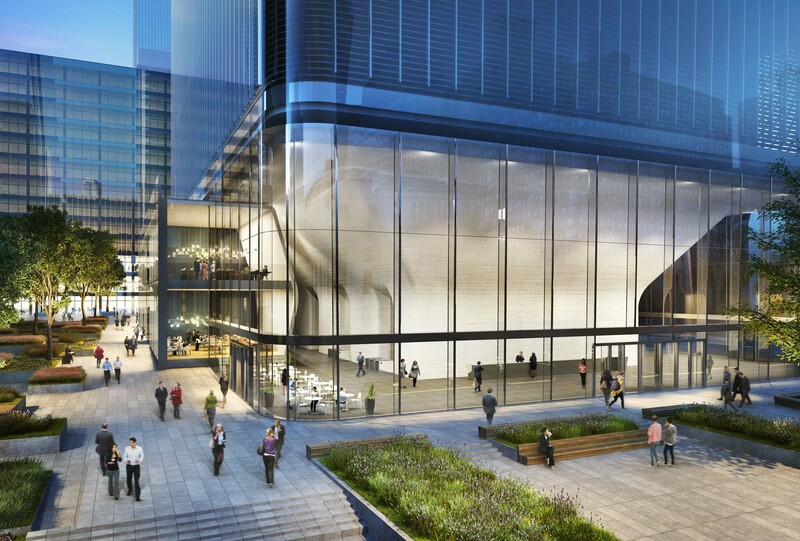 The law firm Skadden has already signed on for 550,000 square feet. Skidmore, Owings & Merrill is responsible for the building’s glassy design. There will be retail space on the first two floors, followed by the office space above that. 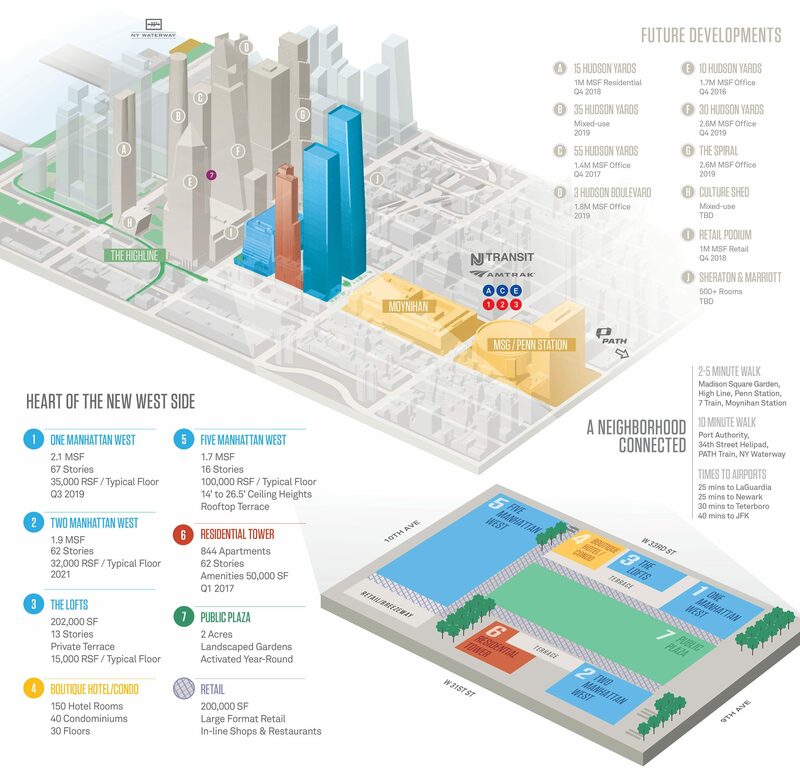 Manhattan West includes six buildings, both new and renovated, and a public plaza. 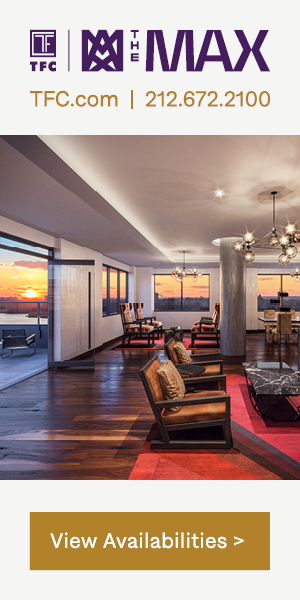 There will be three other dedicated office buildings, a loft-style building with commercial space, a dedicated residential building, and building housing a boutique hotel along with condominiums. 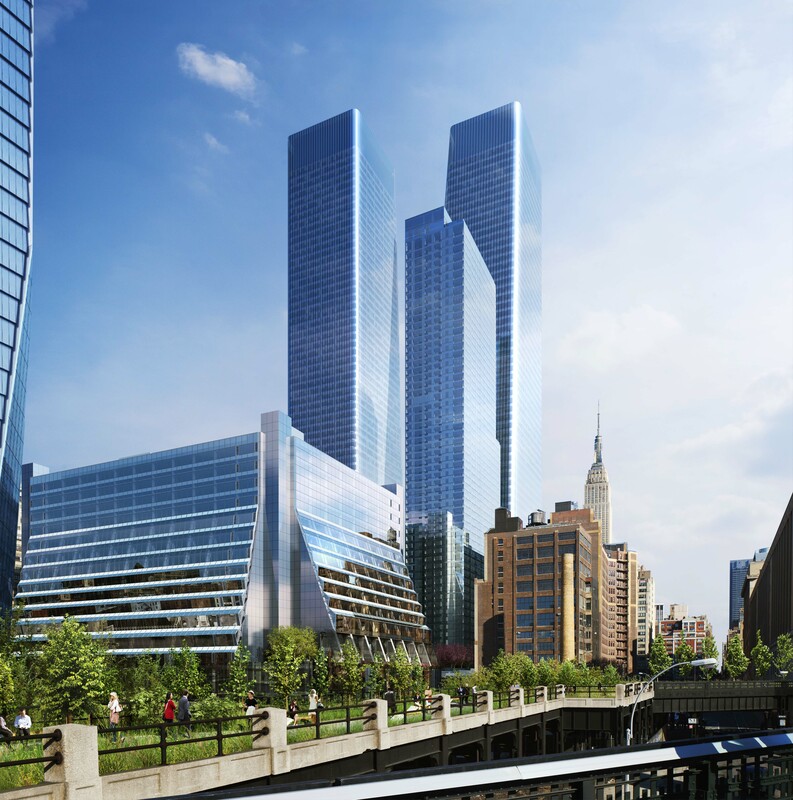 The 62-story, 844-unit residential tower, dubbed Three Manhattan West and located at 401 West 31st Street, should be done by the first quarter of 2017. Re-cladding of the commercial building at 450 West 33rd Street, now known as Five Manhattan West, is just about done. 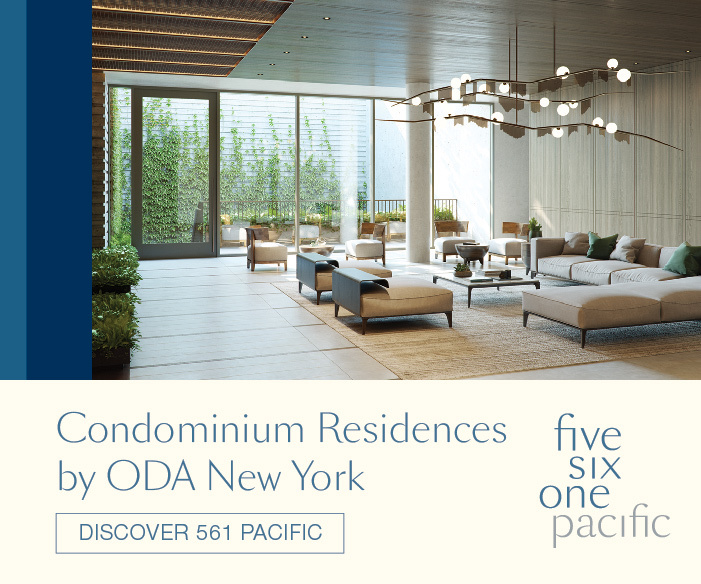 One Manhattan West is due to be complete in the fourth quarter of 2019. 5 Comments on "Supertall One Manhattan West Now Above Ground"
Yes this is an exciting time to witness the incredible growth of NYC skyscrapers. I hope they build the proposed Hudson Spire…it will certainly ad to the already impressive skyline. 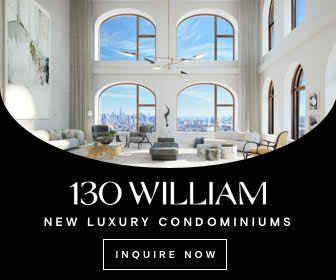 Yes this is an exciting time to witness the incredible growth of NYC skyscrapers. I hope they build the proposed Hudson Spire…it will certainly ADD to the already impressive skyline. 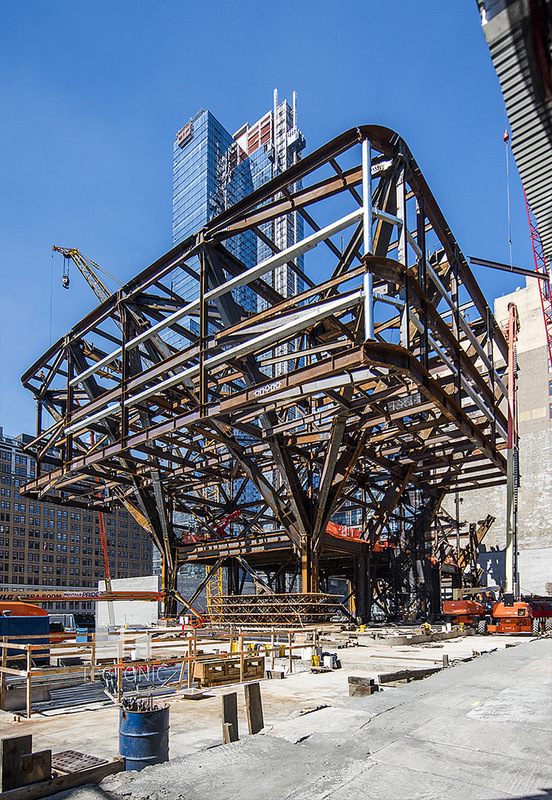 I do hope the infrastructure (water, sewer, electricity) to support Hudson Yards is being upgraded as well.